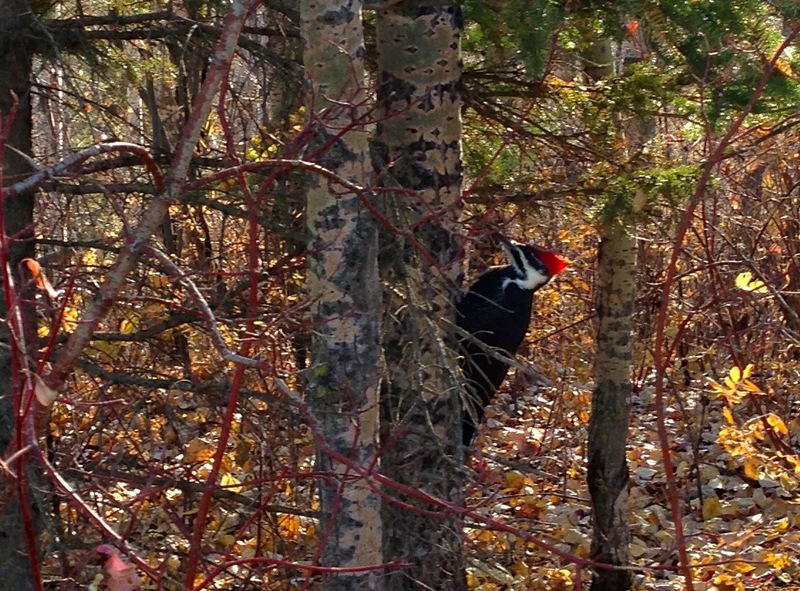 Last part of my walk in Whitemud today, I came across a Pileated Woodpecker. Like that time in Mill Creek ten years ago (or so), this guy was oblivious to me, and calmly went about his business thumping and chipping away at a tree as I photographed. Sadly, I mean, tragically, I didn’t bring my camera, just my iPhone, which is a piss poor alternative for moments like this, especially on a sunny day. Even though he was only a few feet away from me, I couldn’t actually see what I was photographing. Eventually I stopped, and observed. 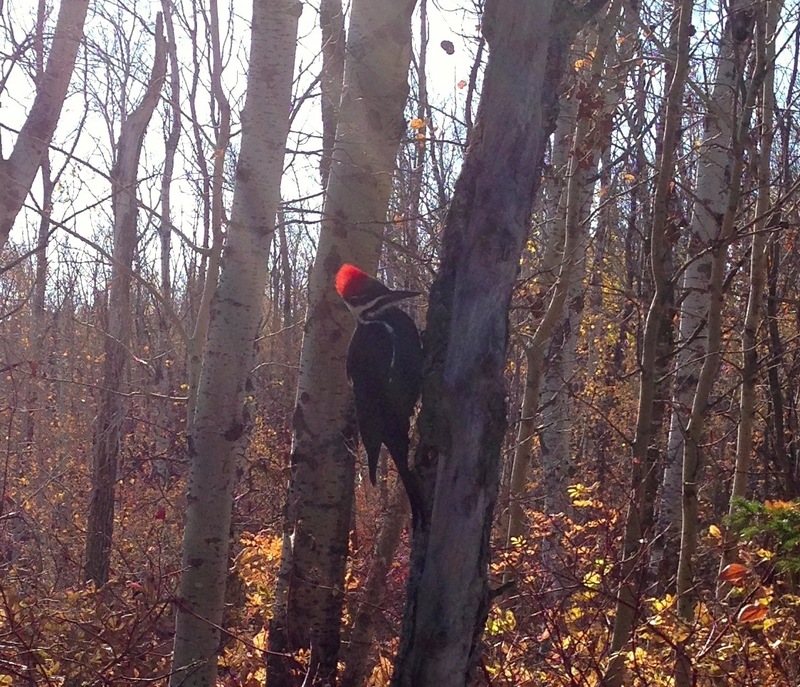 The woods are beautiful, especially the often heard but rarely sighted pileated woodpecker. Taking a great photograph is important, but it’s more important to be still, and observe with my eye what is in front of me. When I was ready, I thanked him, and continued on my walk.